The Psycho Cat Z's moving arm is ever so frightening! You might have daily nightmares, possibly even hallucinations. 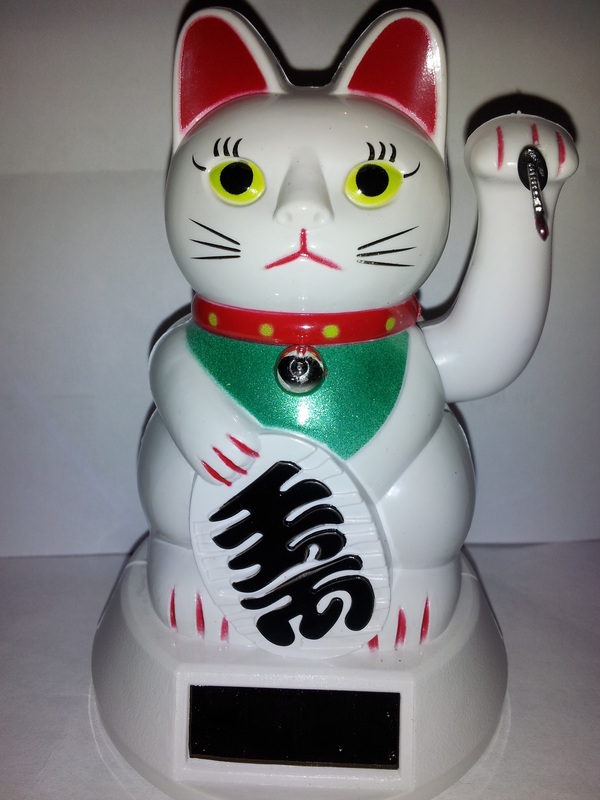 Brighten someone's day with the original Psycho Cat Z.
Psycho Cat Bloody Knife Version! Psycho Cat SOLAR Bloody Knife! 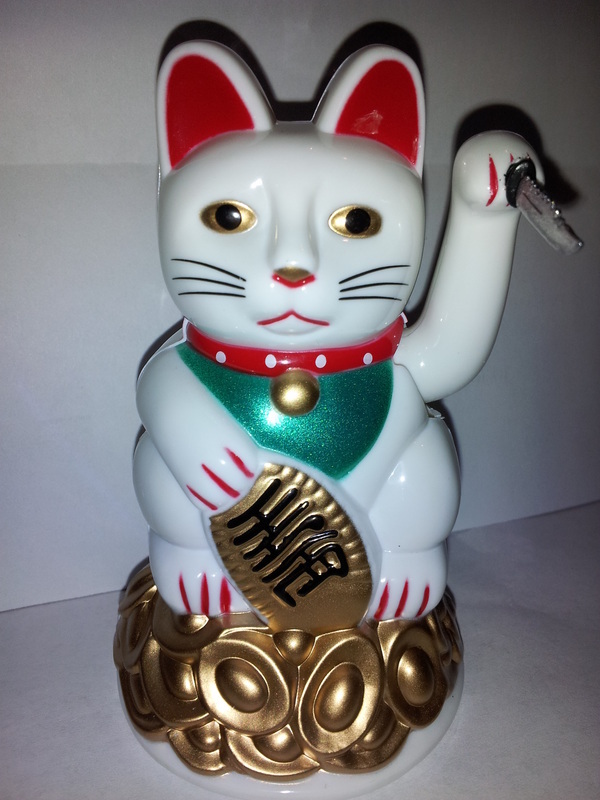 Waving Lucky / Fortune Cat turned Psycho! WARNING:CHOKING HAZARD -- Small parts. Not for children under 8 yrs. If you have time, please answer this question. Thank you! Psychocatz. thanks you! Psychocats! Lucky cat gone PSYCHO!